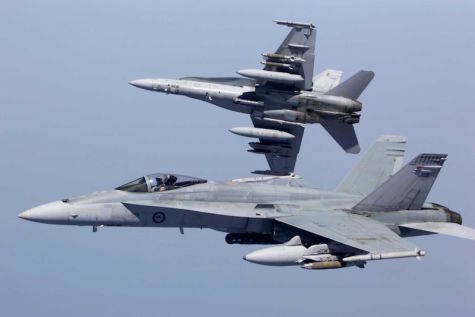 Canada has finalized a deal for 25 second-hand F/A-18A/B Hornets being bought from Australia. The first aircraft are expected to arrive in the spring, and begin operations with the Canadian forces this summer, according to Pat Finn, assistant deputy minister for materiel at the Department of National Defence. A second group of aircraft will arrive later in the year. Overall, 18 of the used jets will make their way into operational service, while seven airframes will be used for testing or harvested for spare parts. Ottawa is also purchasing additional spares as part of the deal. The aircraft are being purchased for CAD90 million, but Canada estimates it will cost around CAD500 million to own and operate the aircraft, including personnel, infrastructure, and aircraft upgrade costs. The first modification when the aircraft arrive will be to install Canadian flight software, and to install ejections seats and lighting systems used by Canada’s existing CF-18 fleet. The goal is for the aircraft to become identical to the current fleet. Canada is in the process of finding a replacement for its CF-18s, but the second-hand aircraft were purchased to fill a new capability gap identified by the government. Some have questioned the rationale behind buying and upgrading old aircraft while simultaneously pursuing a replacement fighter.